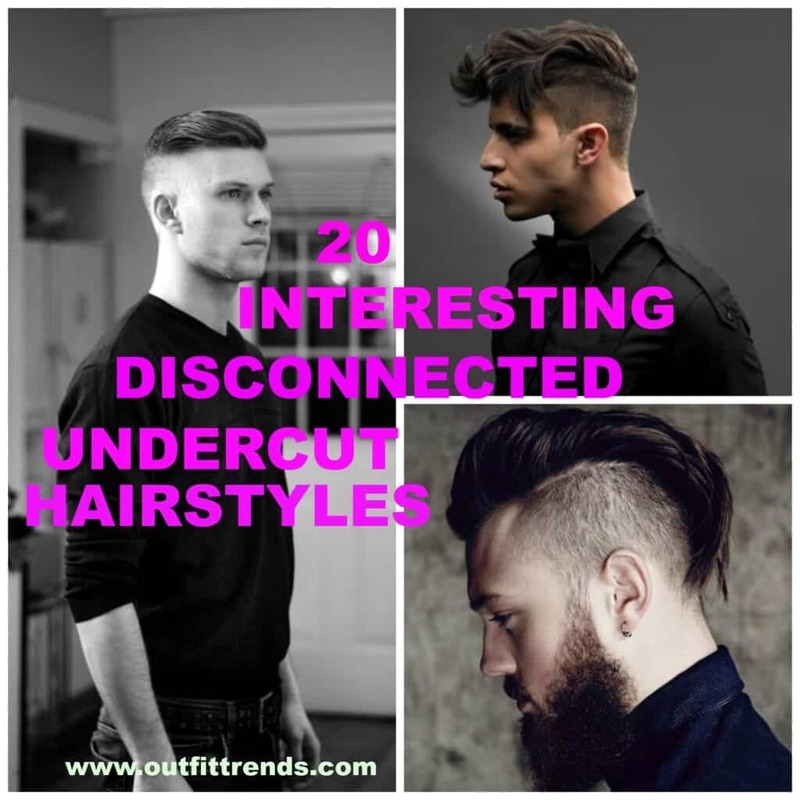 Disconnected undercut hairstyles for men. Want to achieve a rugged yet handsome look, go for a disconnected undercut hairstyle. What’s a disconnected undercut? It’s the hairstyle where there’s no gradual transition of long to short hair, instead, there’s a fine and clear point where the long hair stop immediately and the short length hair begin. Men with different face cuts, or different style sense are always looking for the disconnected undercut which will suit their persona. If you have a round face cut then this hairstyle would also go well with one of these awesome Beard Styles for Round Face-28 Best Beard Looks for Round Faces. With the fashion evolving so rapidly, choosing a certain style gets really tough. We’ve got it all sorted, and we bring 20 amazing disconnected undercut hairstyles for men. If you have light hair color, and you really want to make a difference in your look with the disconnected undercut, then go for extremely short hair, these will be barely visible. For an ever edgier look, go for the look where the hair on the top are cut to medium length. If you really want to look different and are bored of a typical hairstyle then it’s time to completely change your look. Go for a disconnected undercut with the remaining hair longer than usual hair and to make the personality more fascinating you can also go for a Vandyke. This look is very much suitable for oval faces. To add a little more drama to your disconnected undercut you can also opt for a little longer hair in the front. These long hair can be styled in plain or voluminous look, depending on whatever you’re comfortable with. Mohawk is certainly the most stylish and famous hairstyle currently. This can also work well with a disconnected undercut, instead of a regular undercut this will give more edgy and sturdy look. This look can be even further enhanced if kept with a full beard. Want to achieve a rugged look? Well your hair apart from the disconnected undercut can vary in length, the back hair shorter and the hair at front longer than the usual. This will make the entire look more interesting and will gather more attention. You can get a disconnected undercut and dye the remaining hair jet black. Complete jet black hair is not everyone’s risk appetite as it gives a very sharp look to the personality. 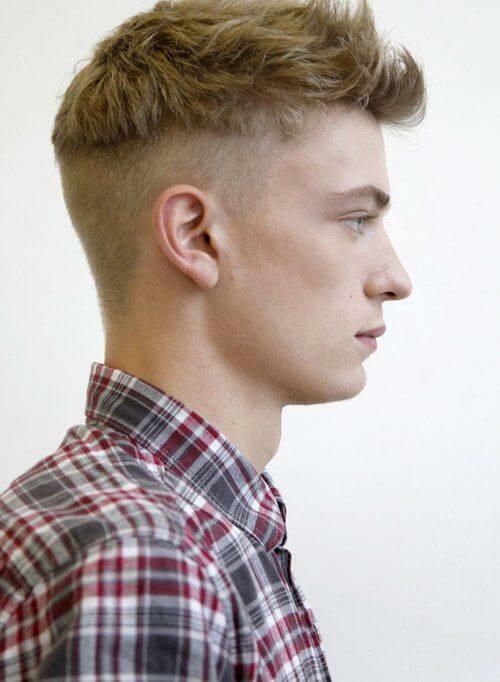 Don’t think that an undercut is simply for young boys and can’t be carried out for a sober look. Well if you know the right cut and how to style yourself accordingly then it is the absolute stylish yet gentlemen look that one can pull off. It is not essential to go for an undercut from both the sides, you can simply opt for a one-sided disconnected undercut. This will bring variation as compared to the traditional undercut, and can be varied with different hair lengths. Once you have a disconnected undercut it is a daily work to style them, but sometimes it gets very hard and it isn’t convenient at times to style them, so why not opt for an everyday look? Simply do a pulled back hair look, this goes for all occasions and all traditions without much hassle. If you’re the guy who is up for experiments and can alter your looks with no hesitation then go for an absolute straight disconnected undercut and you can dye the remaining hair in shades of blonde, this is highly experimental but a lot of fun if you can carry this look. Like a reverse fringe you can also pair your disconnected undercut with a normal fringe. This is a good way to style your hair for prom or parties or some semi-formal event with friends. If you think school isn’t an appropriate place for such a drastic hair changes then you’re mistaken. Go ahead and try out a less drastic disconnected undercut. This can be carried everyday and are an absolute hassle free to maintain. After getting a disconnected undercut what additional fun you can add to the look is that you can pull all the hair on the forehead. This is the simplest yet nice hairstyle to carry. As we know the disconnected undercut is a drastic transition from long to almost no hair, so to add a little difference you can simply have shorter hair on one side and longer on the other, keeping the undercut constant. Now here’s an interesting combination you can opt for with a disconnected undercut, you can style it with a disconnected beard, this adds an instant style. Yes an undercut is always a sign of more rugged and sturdy look, so why not even tattoo yourself up and give a more stylish look!